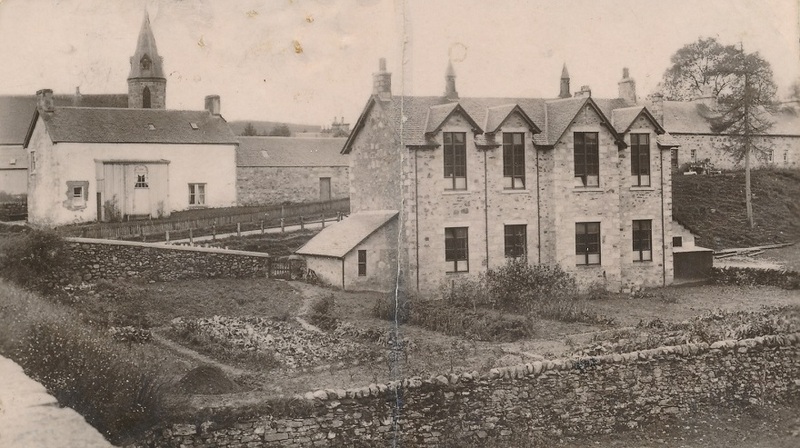 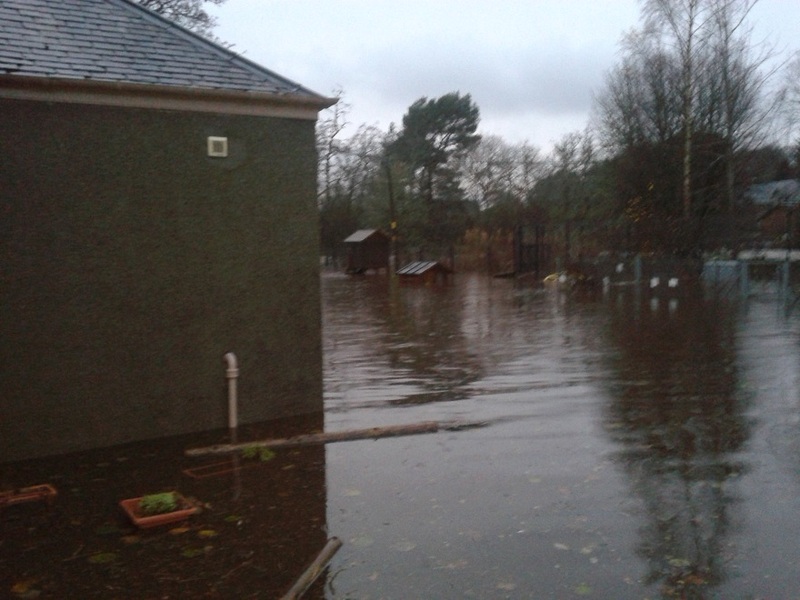 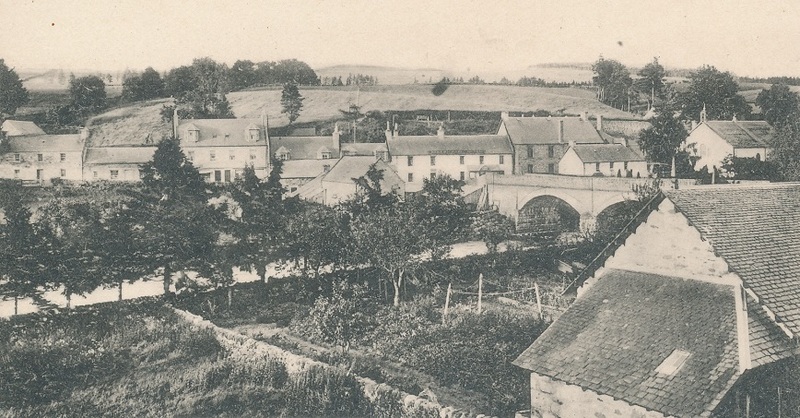 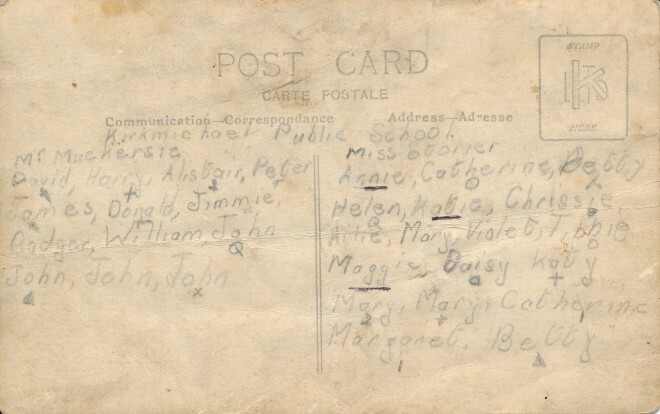 Also of interest are excerpts from the Kirkmichael School journals, found under “the written word” or you can click here. 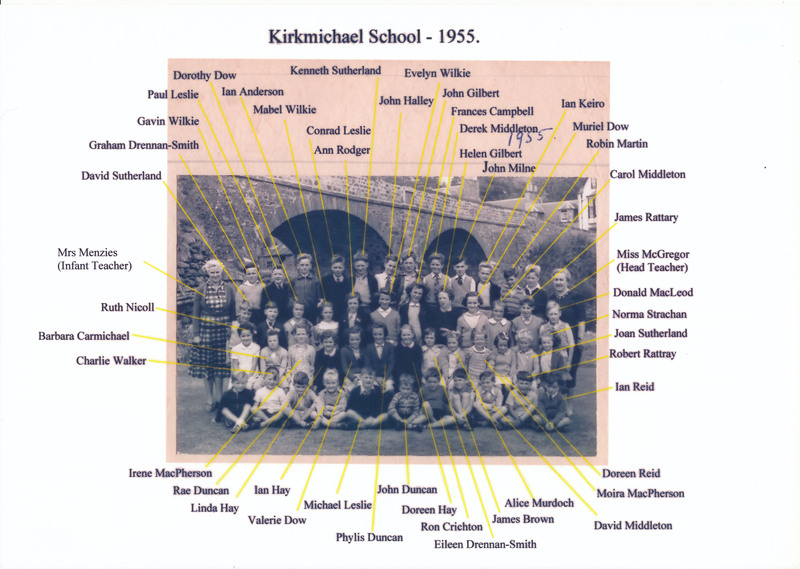 Dan McPherson, Jean Blair, and John Milne share what life was like at Kirkmichael School in “oral histories”. 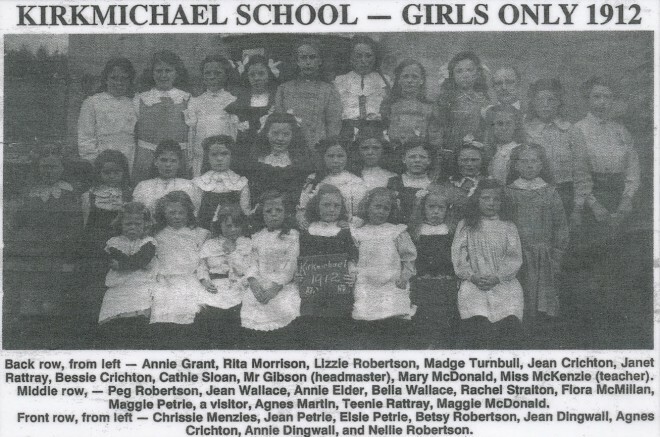 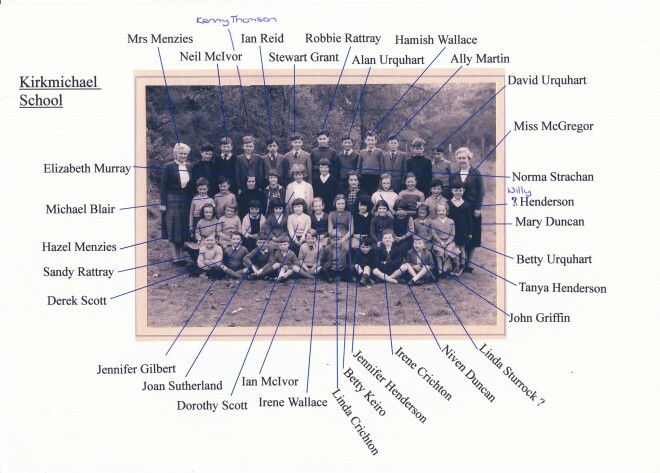 Pupils who attended Kirkmichael School 1936 with a young Miss McGregor who is mentioned with awe and trepidation by those who remember her. 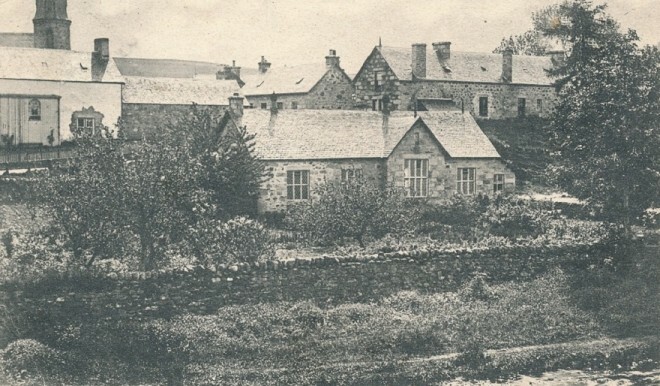 c.1930. The children's names are written on the back (next photo). 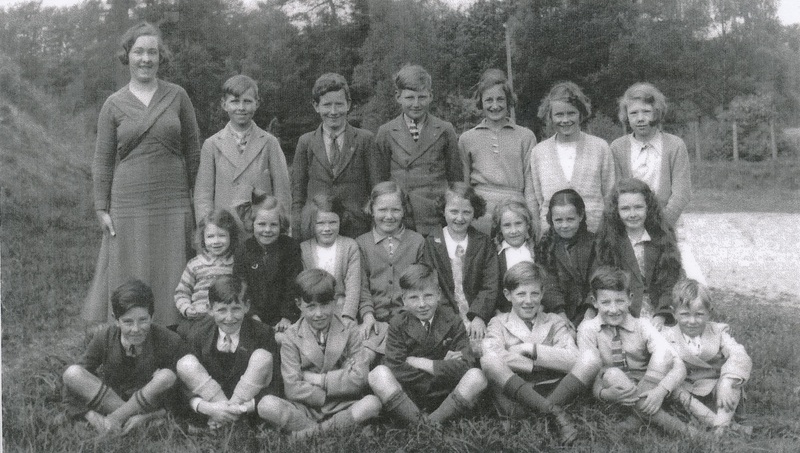 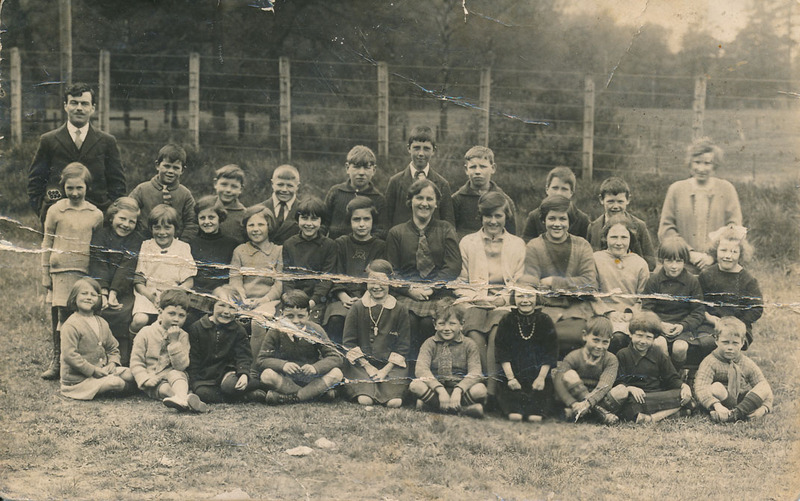 Photograph of Primary School pupils,1955.